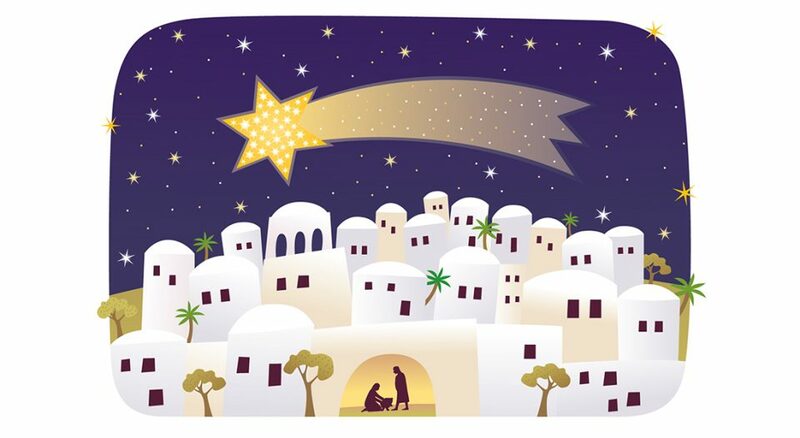 Earlier this year, Living Lutheran invited readers and writers to submit personal stories of gifts that illuminated the true meaning of Christmas for them. From a kind note to beloved people to a dozen potatoes, the responses surprised, delighted and moved us. Select submissions are included here; read additional stories in part two of this article. These heartfelt meditations remind us of God’s best gift ever—Jesus, a child born for us, a son given to us (Isaiah 9:6), a savior incarnate. May they bring you Christmas joy. The Hamilton tickets for Christmas—epic. The mama bear necklace with two baby cubs following the birth of my second child—precious. A few laps around the Kansas Speedway in a Ferrari for my husband one Christmas—priceless. But the best gift I’ve received? Does it count if I gave it to myself? One Christmas season, while the world prepared for the birth of a savior, decorated and shopped, I stayed home with my newborn daughter. The first few weeks of her life were a blur. Nursing, changing diapers, scrolling Facebook at 3 a.m. while nursing, rocking, showering occasionally, melting down, snacking constantly and repeat. As a pastor on maternity leave, I didn’t have to plan or lead services. By the time Christmas Eve came I still hadn’t been to church with the baby. I had no plans to attend either. And that was my gift that Christmas Eve—a quiet night at home with my 1-month-old. I have a picture from that night where I am dressed up holding my daughter: she’s asleep in that newborn haze and I’m smiling, the light from our Christmas tree in the background. That evening, I gave thanks for the life of Jesus, born a baby, while I held my own. I felt a kinship to Mary, full of wonder and awe, celebrating the gift of a child on a beautiful, silent night. —Kimberly Knowle-Zeller, writer and ELCA pastor, Cole Camp, Mo. My Christmases involved bicycles. My first one, a Christmas present when I was 7, had a chain problem that always threw me off. It couldn’t be fixed. The next bike, a Christmas gift I received at 15, was old and very heavy. Living in hilly Pennsylvania, pedaling was a struggle. Much later I was in the Navy and stationed in Mayport, Fla. At a bike store near the base, I spied a nice super-light English racer on display. When I was discharged, Christmas wasn’t far away so I headed directly to the bike store, hoping it still had that beautiful racer. Indeed it did. I stopped and bought the racer with some severance money. It was my Christmas gift to me—and it flew like the wind! There’s more to the story: A friend from work told me she came to America as a German refugee on an orphan rescue ship. Hers was the very last orphan rescue trip; it was 1945, the war in Europe had ended. She said she had always wanted a bicycle and asked if I knew where to buy one. Well, to share my joy, I gave her that racer and said, “Merry early Christmas! —Tom Bessa, member of Reformation Evangelical Lutheran Church, Orlando, Fla.
My most meaningful Christmas gift that I ever received was a half dozen potatoes. Back in 1995, our family was going through some tough times. My 8-year-old grandson told me that he knew I liked potatoes, so he gave me some. It was the most precious gift I ever got because it was from his heart. —Leone Thorne, member of Calvary Lutheran Church, Rio Linda, Calif. In 1996, I attended a Christmas Eve service at an Episcopal church. There was an appeal for volunteers to serve a Christmas Day meal at their outreach center for Atlanta’s homeless community. I signed up and, admittedly, regretted my decision the following morning. After arriving at the center, my assignment was to wait on its residents. Instead of opening presents, I was serving tables, like those who are humble and harassed. Ultimately, the experience was a gift. Receiving presents is often about new things, but serving others brings about new life. Jesus—the babe born in a lowly manger—came to earth to serve us, telling his disciples: “I am among you as the one who serves.” Waiting on others, ministering to the needy and lifting the fallen, Jesus is the greatest servant and the greatest gift. —William Flippin Jr., writer and pastor of Emmanuel Lutheran Church in Atlanta. It was 1993—a bleak December New York City morning. Woolworth’s was closing. Change was inevitable, I knew, but this was going too far. Running errands and grieving, I barely noticed the individual calling me, “Frau!” I looked up. There was Gunther, a man who was homeless. He usually occupied the back pew of our little German church, separated by 10 empty rows from the elderly women who sat farther forward to avoid him. During the passing of the peace, I was the only one who went to greet him. Smelling of alcohol and urine, the strong grip of his roughened hand had felt vaguely threatening. What did he want of me here, now, on the sidewalk? He rummaged around in a dirty cloth sack. “Here,” he said gruffly, pushing a prickly object into my hand—a tiny shopworn Christmas tree with faded branches and miniature colored balls. The tag hanging from one limb read “Woolworth, $4.50.” He had likely gone through the trash behind Woolworth’s and picked this up. I barely had time to thank him before he moved down the street. Twenty-five years later, I still remember this act of kindness and memorialize Gunther by setting out his gift every Christmas. —Marianne Bahmann, an ELCA member from Allentown, Pa. I received my best Christmas gift as an adult in 1980. I was recently married at the age of 32. Not only did I gain a wonderful wife, Sandy, but also a teenage daughter, Wendy. I always, of course, had a family, but not one that I lived with and spent every day with. Because of this, I could not wait to celebrate my first Christmas with my new family. My anticipation was great leading up to Christmas, and the joy of that day was more than I expected. Incidentally, I first met Sandy when I was choir director in a Lutheran church and invited members to join the choir for our Christmas Eve Service. She did just that in 1979, and we were married the following July. —Dale T. Rodgers, member of St. John Evangelical Lutheran Church, Quakertown, Pa. It was the morning of Christmas Eve, and I had so much to do. My two young sons were full of pre-Christmas excitement and I was having a hard time focusing on what to do next. It was an unexpected, perfectly timed gift of just what I needed most. Dropping my sons off at their grandmother’s, I discovered they were joining their cousins for the afternoon. She’d given the mothers instructions not to return until 6 p.m. to pick them up. We were back promptly at 6 p.m. We found Grandma exhausted from her afternoon with nine grandchildren, but she smiled, listening to the mothers share how they had used her gift of time. One did last-minute shopping. One wrapped presents. One did some baking. And one admitted to taking a bubble bath, followed by a nap. of like God’s unexpected but perfectly timed gift of Jesus, the baby in the manger. —Katharine Redpath, pastor of St. John Lutheran Church in Santa Fe, Texas. When I was 9, my parents got divorced. My dad suddenly became this missing part of my story who visited every three years—if we were lucky. In the interim, he sent boxes filled with outfits and gifts for birthdays, graduations and Christmases. One Christmas we received a package that contained a yellow Post-it note that said, “Love you, Dad.” I saved this simple treasure in a shoebox, alongside other notes I had received from family. Whenever I read them, I am transported by these small time capsules, which echo the voices of my loved ones. In my life, my dad’s notes were and are still rare, but my heart jumps every time I see one because taking time to write thoughts and feelings is a gift that can’t be purchased. Letters take time and intention. So when my dad asked me what I wanted as a wedding gift, I asked him to write me a letter—to gift me with words that stay. Even though Jesus no longer physically walks among us, we are all reminded of how much we are loved through Bible stories left for us. Jesus’ life and words remind us everyone matters in God’s ongoing story. —Kristina Diaz, a portrait photographer and writer, attends Getsemani Lutheran Church in Dorado, Puerto Rico. Growing up, I remember our living room shelves were cluttered with Precious Moments figurines my mother collected. I’m not certain if she collected them because she loved them, or because she loved that just about every Christmas we bought them for her. I mean, when you get a gift, sometimes it’s all about the gift, and sometimes it’s all about the giver, right? And at Christmastime, we unpacked the Christmas Precious Moments figurines that stayed in the attic most of the year. Our favorite was the nativity set: Mary, Joseph, a shepherd, three sheep, a wooden stable to house them all and a sleeping baby Jesus nestled safely in a straw-stuffed manger. This nativity set became “well-loved,” as my parents used to say, which was a code word for “dingy.” The poor shepherd’s crook broke off one year as some little boy, who will remain nameless, processed the shepherd and sheep to the manger scene, playing the story out in real time. The well-worn gifts are usually the favorite ones, right? Which is what each Christmas is, right? It’s the 2,000-year-old gift of God in Jesus Christ given again, and again, and again, unpacked with awe each year, given to each generation. A truly precious moment. —Tim Brown, writer and pastor of Good Shepherd Lutheran Church, Raleigh, N.C.
How many gifts have you received over a lifetime? Hundreds? Some are easily forgotten—stored in your attic of faded memories. But others you remember and cherish in your heart all your life, even longer than the item itself may have endured or after the person who gave it to you has passed on. What do you remember?